In the intimidating conditions, the women stepped up to be counted, with Ane posting a 1st and two 2nds across the best of 3 heat format adopted for the women’s division today. This gave her the sprint racing win, but also the overall event win, with the tie with 2nd place finisher Manca Notar (Naish) being broken like in Finland and Barcelona through a relative time comparison between long distance and sprint racing. A solid performance from Ane, who like Casper Steinfath (Naish), seems to have gone from strength to strength through this European Cup, bringing the trophy home to Spain after her impressive performance across the Cup Series in 2015. There is no doubt that Ane is a talent to watch out for over the coming season on the Stand Up World Series, as we look forward to seeing more of her through 2015 and into the 2016 season. Manca Notar (Naish) once again showed her prowess today, putting on a solid and consistent performance across all 3 heats of the women’s racing to finish in 2nd in the sprints, and 2nd overall for the event. 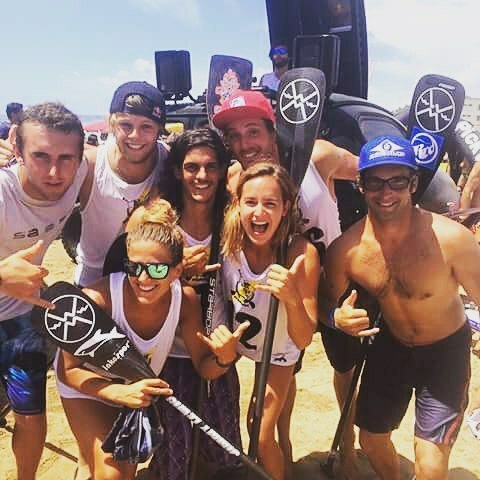 While she was disappointed not to take the event win, Manca is without doubt a major force to be reckoned with and one of the world’s leading lights in the SUP racing scene. This result propels Manca into 3rd overall for the 2015 European Cup, which considering that she missed event #2 in Finland is an impressive performance to say the least and a true testament to her ability and competitive nature. While Susak Molinero is Spanish, she has strong roots here in Italy and clearly flourishes competing here with another solid performance today in the World Series Sprint Racing. A 3rd place finish today, combined with her 3rd place from yesterday puts her into an undisputed 3rd place overall for the event. This result propels Susak into 5th overall on the European Cup for 2015, clearly showcasing that she is a force to be reckoned with, coupled with the fact that she is one of the best natured and friendliest athletes on the Series. 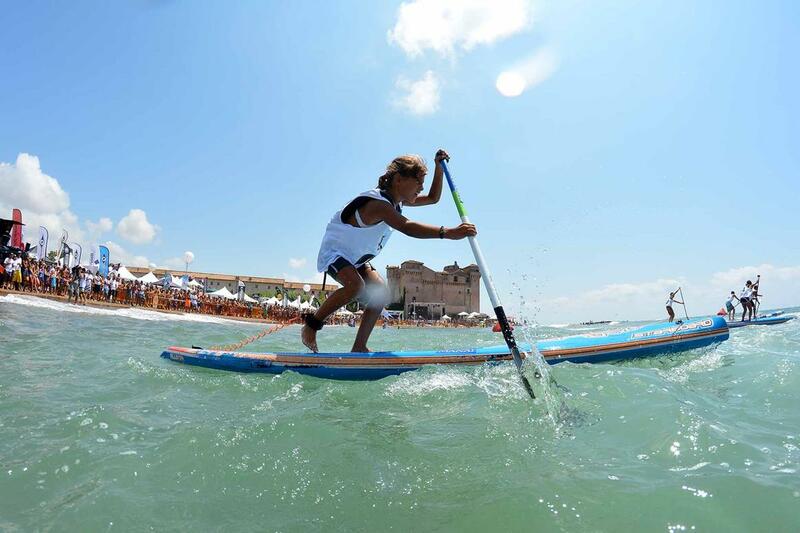 Coming into this final event on the European Cup Series, it looked as though Celine Guesdon (Bic SUP) was pretty much untouchable, especially with the form she has been carrying across the first 2 events of the Cup Series. 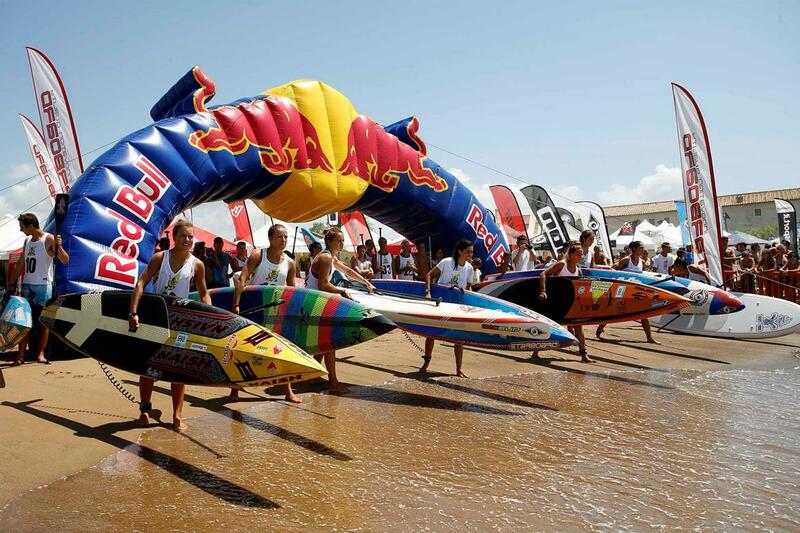 However, this final event of the Series ended up just not being her event, finishing in a disappointing (for her) 6th place overall, allowing Ane Zulaika Aranburu (Bic SUP) to just edge ahead to take the Title in 2015. While this will have been a disappointing finish for the talented French athlete, a 2nd is still an impressive result and Celine will have learned a great deal from this experience. There is no doubt that her grit determination and commitment to the sport will doubtless deliver the results she deserves over the coming year. It has been an amazing weekend here in Italy, from the action on the water with the spectacular conditions we witnessed today, to the party on the beach and the non stop entertainment of the event. We were also proud to witness a young and talented amateur women’s field step up to do battle at this final stop on the European Cup in Italy, as the sport continues to flourish in this beautful country. In the end it was Laura dal Pont who took victory in the women’s division, but a big congratulations to all the girls who took part. 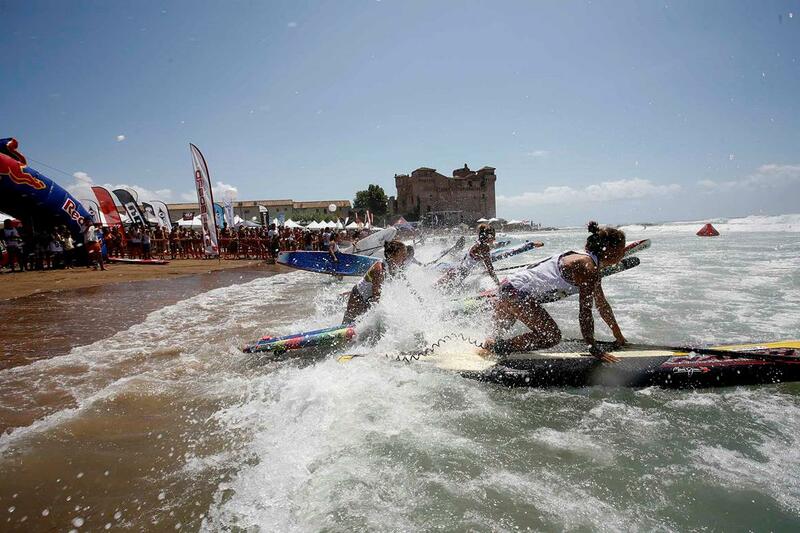 Well that wraps an incredible Italia Surf Expo and European Cup for us here at the Waterman League. Once again, our sincerest thanks to our local partners, the sponsors and of course the athletes for making this weekend one to remember. We can’t wait for the 2016 edition!